The most focused, agile and responsive XJ ever made, according to its makers and there's plenty to back them up. 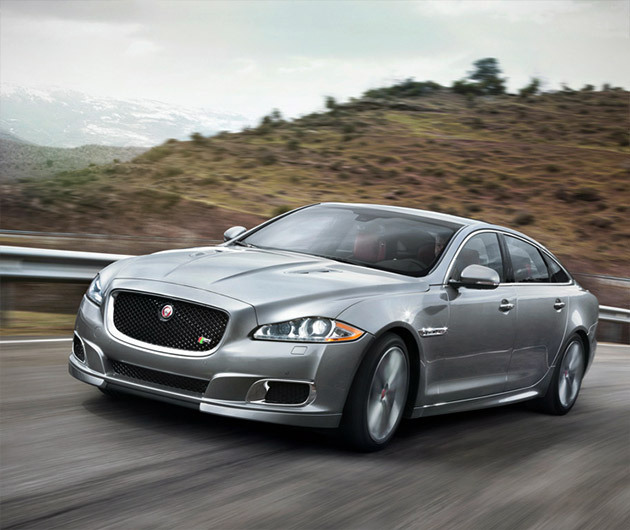 The 2014 Jaguar XJR is equipped with an improved direct-injected supercharged 5-liter V8, with a whopping 550HP and 502 lb-ft of torque. It'll reach a top speed of 174mph, the first 60 in a more-than-respectable 4.4 seconds. Of course, the interior is as sumptuous as you'd expect from a Jag, with leather upholstery, suede trim and carbon fiber veneers.